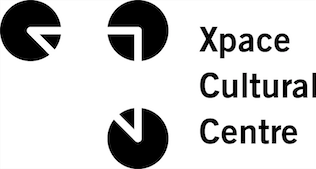 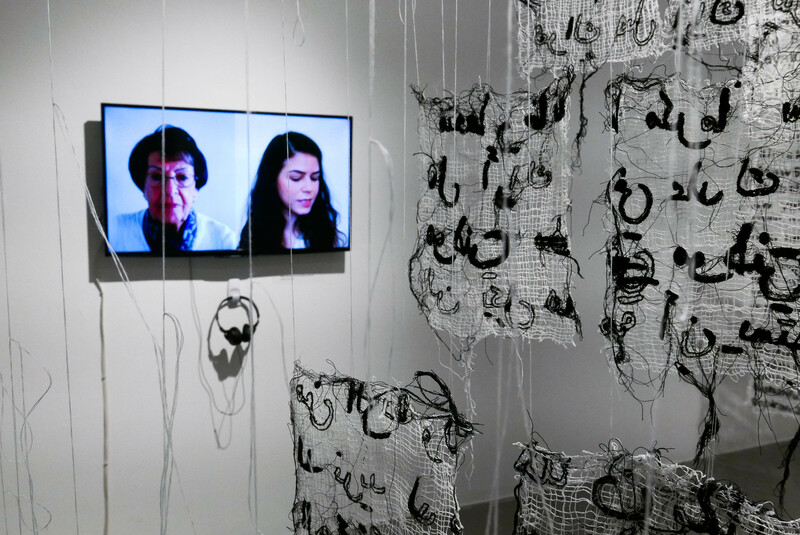 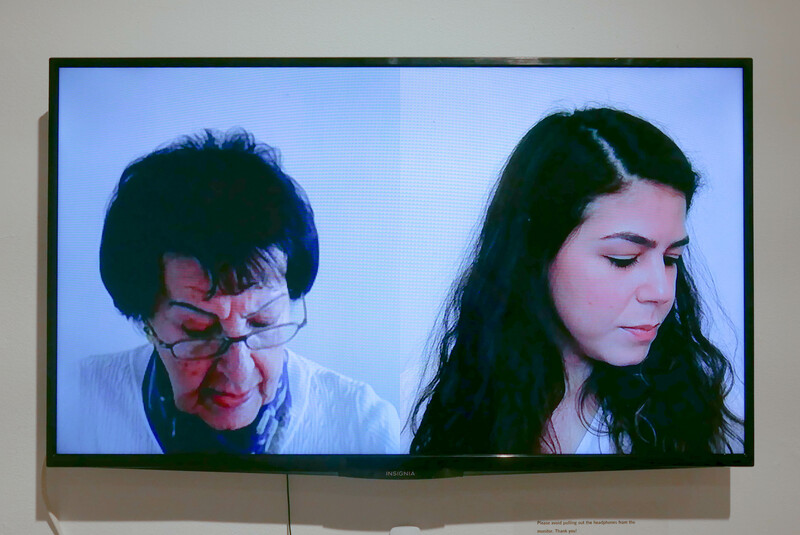 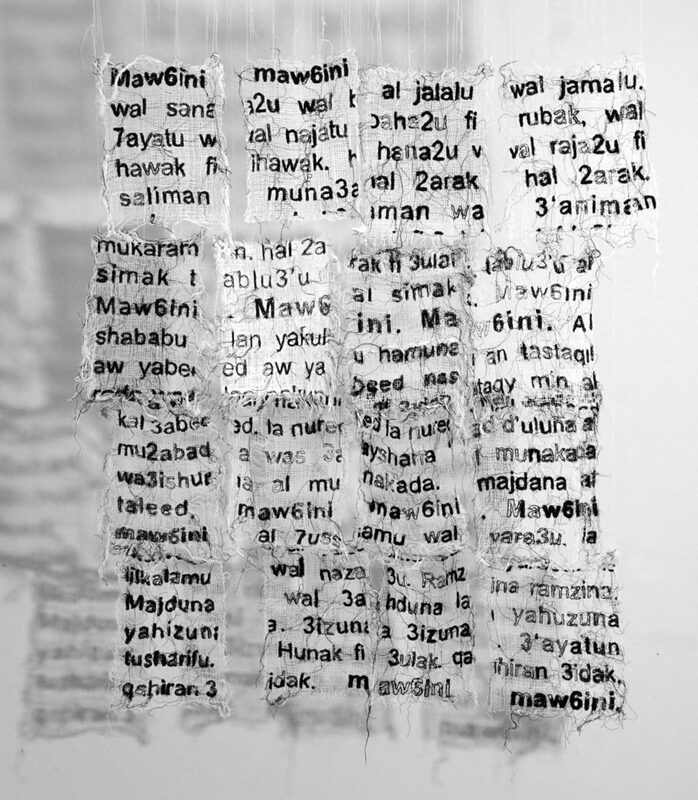 Maw6ini is an audio visual installation that simulates the internal experience of the Arab diaspora in the west through the appropriation of the english language. 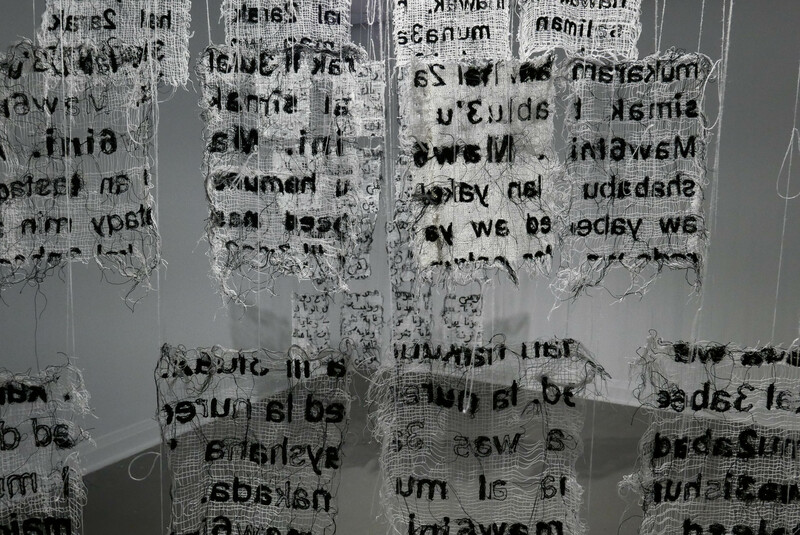 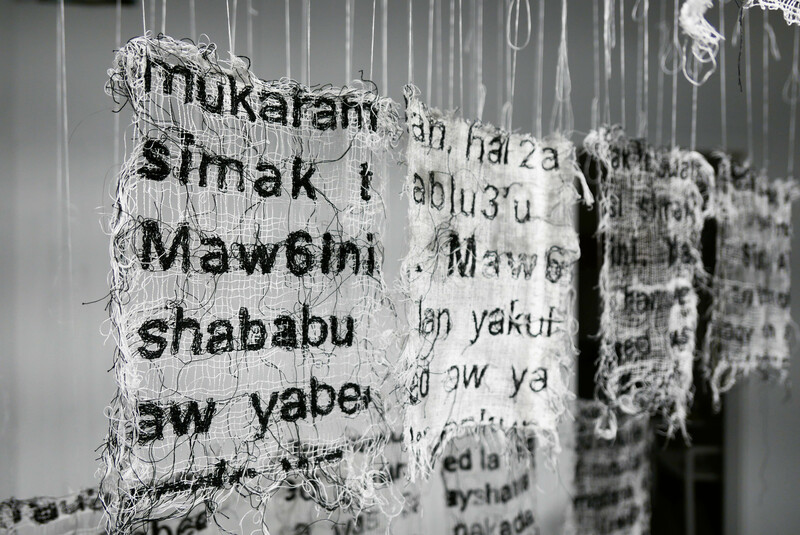 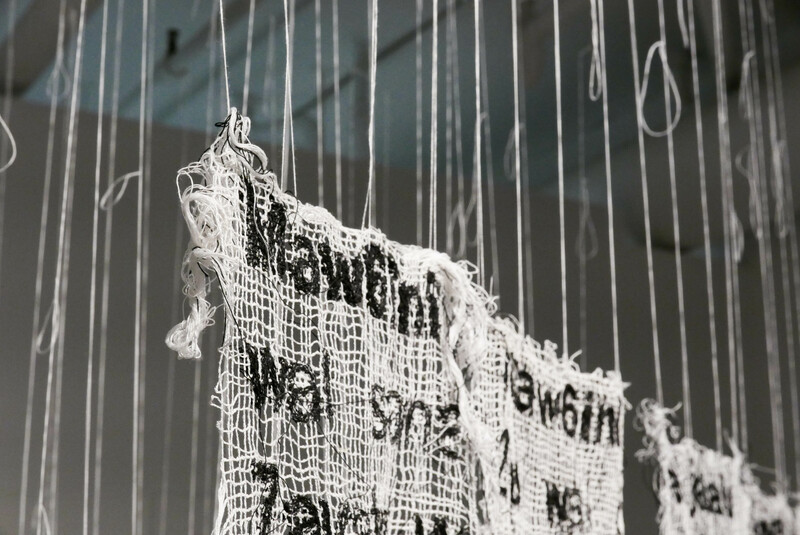 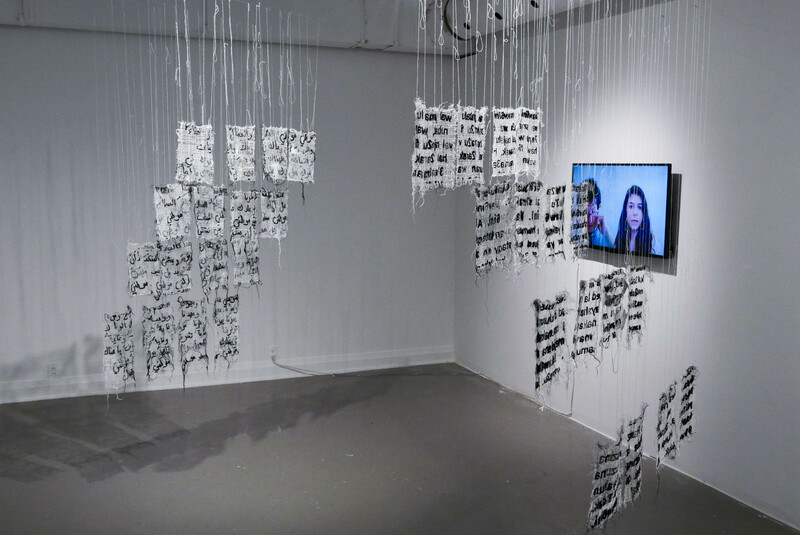 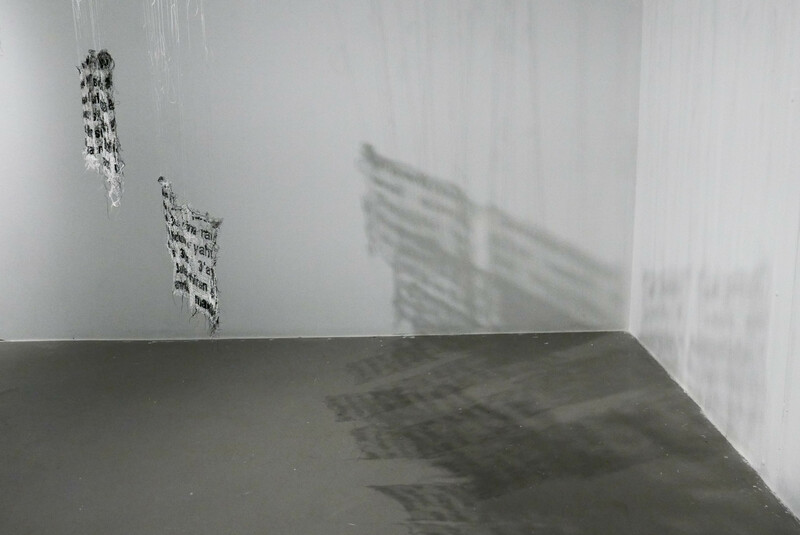 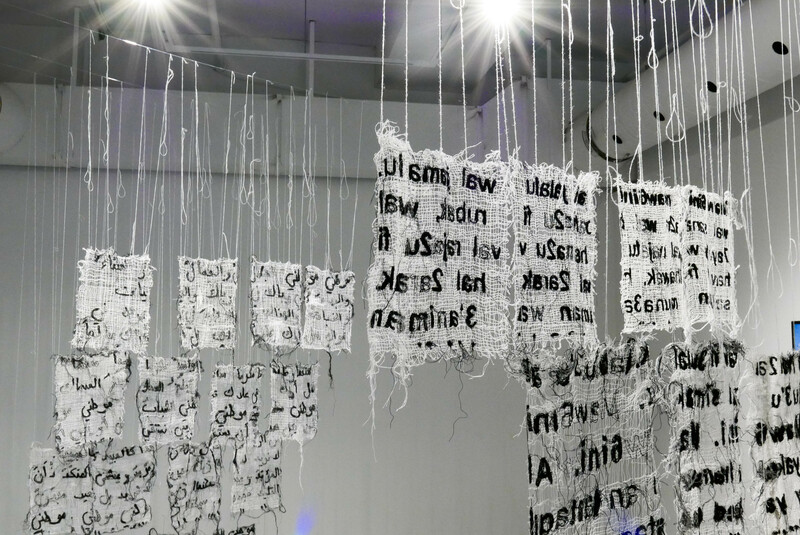 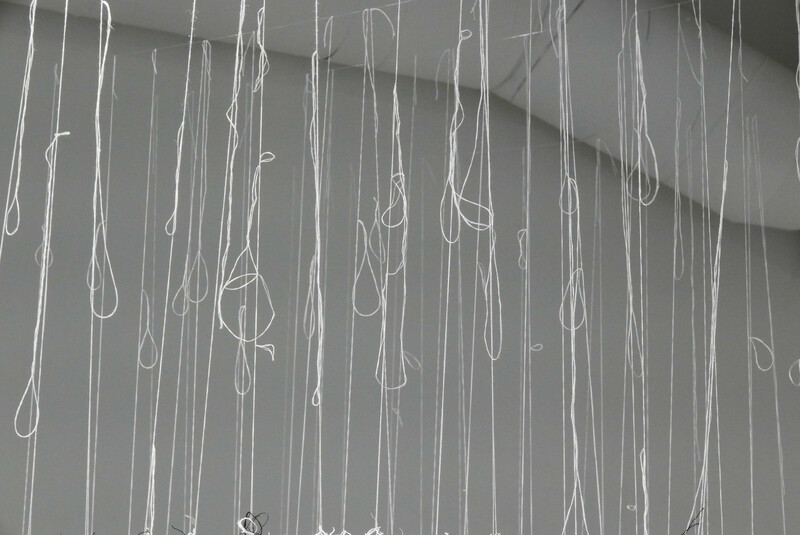 The installation is a combination of typographical artworks spanning across textile, soundscapes and video of the anthem Maw6ini(homeland), an Arabic song by Palestinian poet Ibrahim Touqan. 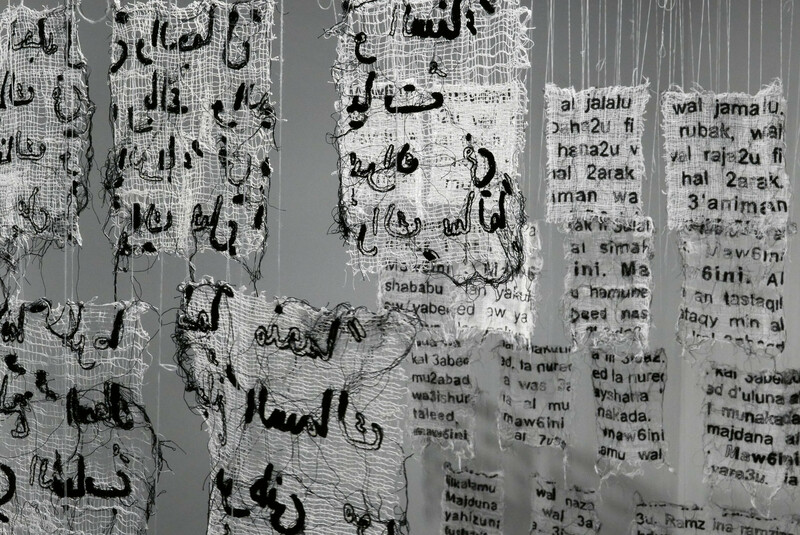 Hejazi’s piece allows the viewer to reflect on how ancestry and present environment merge to inform elements of a new and continually shifting (cultural) identity.